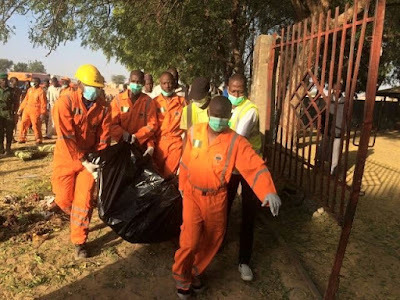 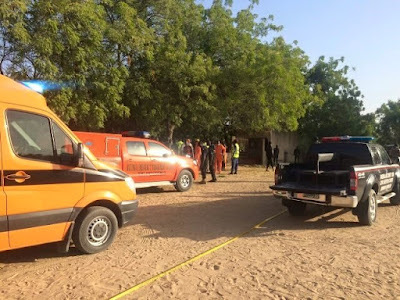 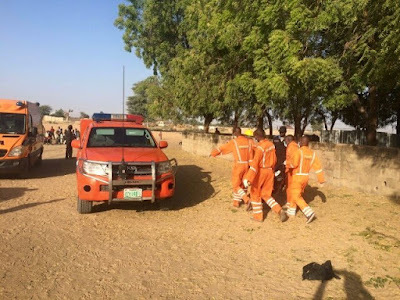 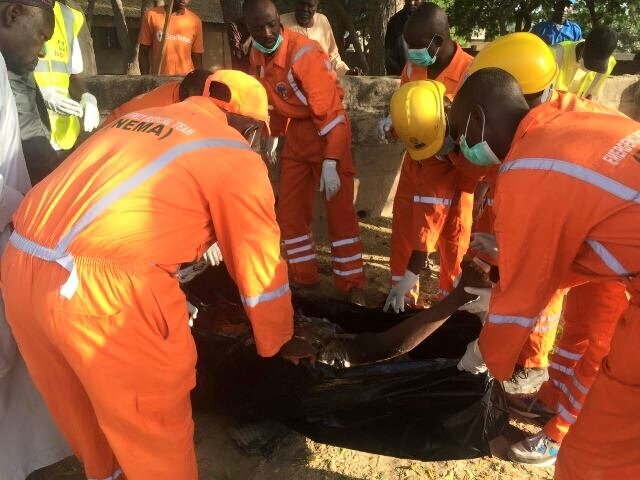 Here are photos of causalities being evacuated at scene of suicide bomb attack at a mosque in Dalori quarters outskirts of Maiduguri, Borno state. The incident happened during early morning prayers today. 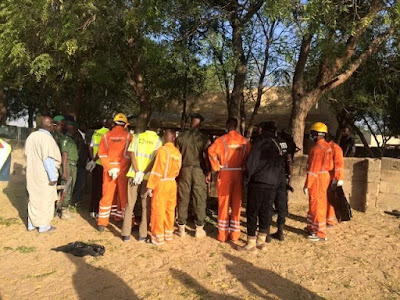 According to the National Emergency and Management Agency NEMA, the suicide bomber and 1 person were killed in the incident. Labels: Bombing Maiduguri, Borno state.